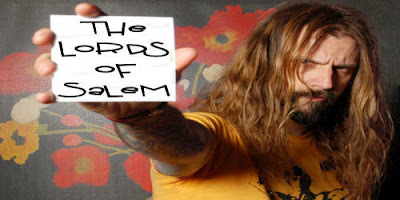 Last I reported Rob Zombie was going to take another stab in the sphere of remakes by putting his two cents on The Blob. Since then, Zombie has dropped out of doing the remake and instead opted to make a original film. The film is titled "The Lords of Salem." Zombie describes the film as a thriller is set in contemporary Salem, where the inhabitants receive a demonic visit from a 300-year old coven of witches. Rob Zombie plans to pen the script while on tour and shoot the movie in 2011. Zombie followed a similar pattern with both of his Halloween film. Gotta hand to Mr. Zombie, he has me intrigued when he says he wants to make an original film. He told Deadline, "I wanted to break away from anything related to preexisting material." Zombie's original work is what made me like him so much early on. I am a huge fan of both House of 1000 Corpses and The Devil's Rejects and with Zombie delving back into an occult themed story, I'm looking forward to him getting back on my good side. Note: Let's tone down the heavy metal hicks. Also maybe not cast your wife as a witch? Hallelujah for the upstart production company Haunted Films for pushing original thought. Too many horror movies (and movies in general) are becoming just rinse wash repeat. I want to see original ideas in theaters not the same ones recycled or told through a different person's perspective.